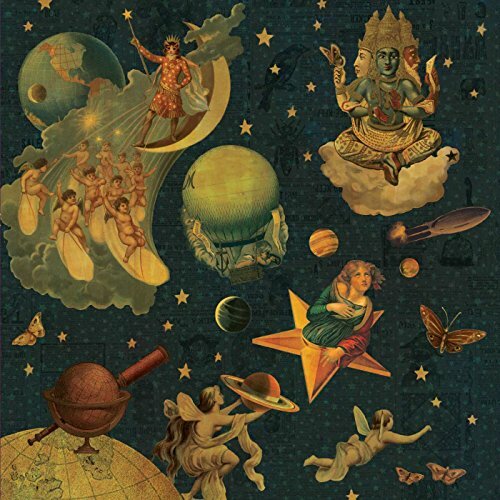 MELLON COLLIE AND THE INFINITE SADNESS is being released in multiple physical and digital configurations, including an expanded 5CD+DVD Deluxe Box Set (also available digitally) and the remastered original album in 4LP Vinyl, 2CD, and digital formats. The Deluxe Box Set's 5 CDs include 64 bonus tracks of previously unreleased material or alternate versions of MELLON COLLIE era songs, and its DVD features a live show filmed at the Brixton Academy, London (1996) and bonus performances from the German music television show Rockpalast (1996). It all comes housed in a 12 x 12 lift-top box with magnetic closure, reimagined cover art and velvet-lined disc holder. The package includes 2 books containing personal notes, lyrics, new collage artwork, plus a Decoupage kit for creating your own scenes from the MELLON COLLIE universe. The bonus content and special features were curated from the band's archives by CORGAN, and have been painstakingly remastered for the first time from the original master tapes by Bob Ludwig. Originally released October 24, 1995, MELLON COLLIE AND THE INFINITE SADNESS would debut at #1 on the Billboard 200 chart and was certified 9x platinum by the RIAA. It yielded major hits like "Bullet With Butterfly Wings" the band's unlikely first Top 40 hit the exquisite "1979" and epic "Tonight, Tonight" as well as a thoroughly inspired series of videos. Produced by BILLY CORGAN, Flood and Alan Moulder, the album would also earn a Grammy Award (1996 Best Hard Rock Performance for "Bullet With Butterfly Wings") as well as seven nominations. Beyond the more obvious hits, though, MELLON COLLIE is a song cycle of unusual depth and considerable range. It is a collection of stunningly beautiful moments when everything lined up--a moment in time that's still here to be treasured. If you have any questions about this product by Virgin, contact us by completing and submitting the form below. If you are looking for a specif part number, please include it with your message.